This revelation came unexpectedly, thanks to A is for Arsenal blog, whose author filed a ‘freedom of information’ request to the Metropolitan Police. It concerned attendances at the Emirates Stadium. As it turned out, the club based its attendance figures on tickets sold rather than people in the stadium. 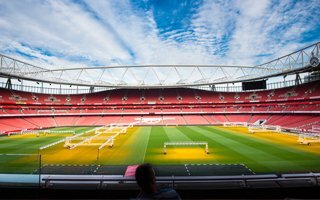 Just as a reminder: according to official data, each game of The Gunners at Emirates was watched by 60,013 people for the Premier League and 59,786 including other tournaments. This is a truly remarkable number with capacity at 60,361 seats. But while it sounds great, this isn’t true. Actual numbers were much lower, seeing roughly one in ten person with a ticket/invitation not show up. The number of spectators inside Emirates Stadium was 53,788, exactly 5,998 less than officially claimed. Record low was recorded against Fenerbahce, when officially 56,271 people came. But according to the police actual size of the crowd was 44,779, almost 11,500 less! It may sound like ‘no big deal’ for some Readers, but surely to none of the 45,000 people on season ticket waiting list. They actually had to pay to be on the list, while hundreds if not thousands of season ticket holders don’t attend some games and block their seats for others. Over the entire season there were 173,945 tickets blocked by non-present fans. Speaking to the Telegraph, a spokesperson for the spokesperson for Arsenal Supporters’ Trust said: “Seeing so many empty seats at Arsenal is a tragedy when there are so many fans who can’t get a ticket or can no longer afford the prices. The latter solution was recently implemented in Bayern Munich, where many fans also didn’t attend some of the games. The club introduced a minimum number of games that needed to be attended by season-ticket holders in order for them not to lose their seat. In England the problem isn’t limited to Arsenall, too. Quite the opposite, according to Sky Sports most clubs in the Premier League inflate their crowd sizes by giving number of tickets sold rather than those used. And this puts into question what the league has been boasting after the 2013/14 campaign: that stadiums had a 95.9% occupancy rate, highest since 1949/50. As if the Fenerbahce crowd at Emirates wasn’t a strong example already (with one in five ticket owners not present), the record discrepancy at Old Trafford stands at some 25,000 tickets sold, but not used! According to Sky Sports only a few teams stand out by giving proper crowd numbers, with Tottenham being named as an example.